Summer is the time of year when we want to use our patios the most. However, Las Vegas sees about 300 days of sun each year. 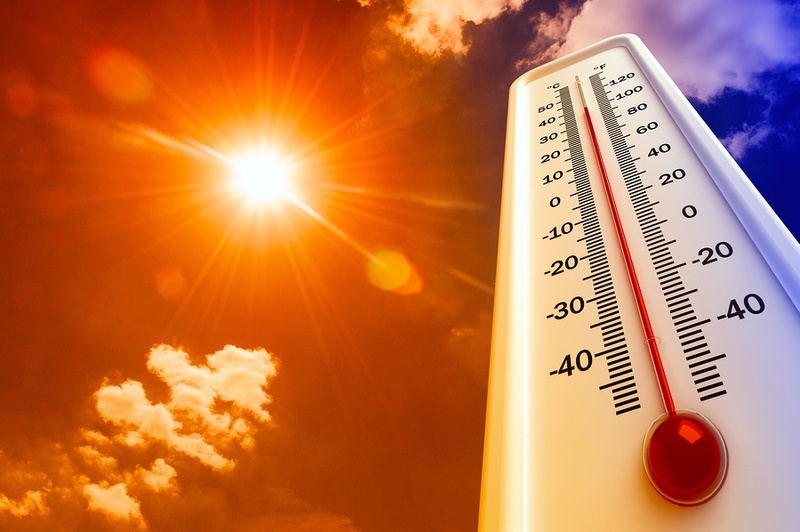 During June through August, temperatures rise to 100+ degrees. In order to beat the summer heat and be able to enjoy your outdoor space, install exterior shades. There are a variety of shades to choose from that will keep the sun out, reduce the temperature and eliminate glare and UV rays. One-Touch Control – raise or lower your shades with the touch of a button. Full Automation – sun and wind sensors allow your shades to automatically adjust. This attractive upgrade offers flexibility, variety and functionality. Retractable awnings range from 5’ to 40’ in width. Our awnings are available in a variety of colors and are manufactured with the most durable fabrics to ensure lasting use. This shade comes in a variety of sizes, spanning up to 24’ in width and 14’ in length. It is unique in that there are no gaps between the track and the fabric, providing complete protection from the elements. ZipRite shades can also be automated for great functionality. Mega Shade The Mega Shade offers the ultimate sun protection. 24’ wide and 14’ high, this shade is precisely manufactured to turn expansive patio spaces into comfortable outdoor living rooms that can be enjoyed regardless of the temperature. Retractable Screen Doors Retractable screen doors allow you to enjoy the breeze while keeping pests and debris out. Each door comes with a metal housing unit that blends into your door frame. When not in use, the door can slide into the housing unit and out of sight. Retractable screen doors can be added to single and double doors, French doors and out-swing doors. Now that summer is upon us, there’s no better time to install exterior window shades. Contact us today at 877-260-6110 to learn more about these state-of-the-art products and determine which one is right for your home.